There's nothing easy about running a screen print shop. It's grueling and messy. Equipment is expensive and requires maintenance. You'll spend countless hours with your squeegee instead of with your customers. 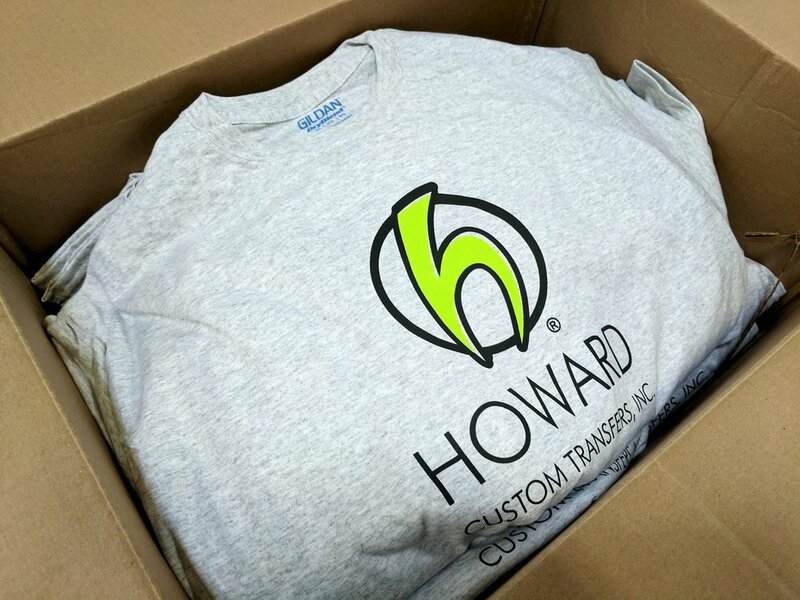 Utilizing transfers is the smartest way to cut down on overhead costs with the only real piece of "equipment" being your heat press. Consider that a high-quality heat press machine will cost you under $1800 while a high-quality screen print set-up will cost you upward of $8000. This doesn't take into account the added costs of ink, screens, squeegees, emulsion, and all of the other supplies needed to run a screen print shop. And then there's labor costs. Printing a shirt using transfers and your heat press takes 10 seconds. Set-up and clean-up is minimal, leaving you plenty of time to spend with your customers - taking more orders! Gang sheets give you the option of placing multiple images onto one transfer. When you receive the transfers you can cut them up and use them as you please. That means you can decorate a shirt with a front print, back print, sleeve print, and more all with one sheet. No need to use multiple screens! Fit multiple print locations onto one gang sheet. In the example above, we fit two full back logos and four left chest logos onto one Oversize Gang Sheet, 12.5" x 17.5". At the 108 sheet price break with a 2 color design, our total cost would be $197.64, just $.92/shirt with two print locations AND two extra images to use for bonus. Now you can offer your customer an add-on item with these bonus images at no added cost to you. You can also gang multiple of the same image onto a sheet. Fit multiple images onto one gang sheet. In the example above, we fit 27 tagless labels onto one Oversize Gang Sheet, 12.5" x 17.5". At the 36 sheet price break with a one color design, our total cost would be $113.04, or just $0.12/image. It happens every time. The group or team receives their shirts, love them, and suddenly they want to order 12 more. Unfortunately, the 12 sheet price break is less forgiving than the 108 sheet price break you originally ordered at. This is exactly why we always suggest to order more than you think you need! Let's say your original order was an Adult Full Chest sheet size, one color design at the 72 sheet price break. Your cost was only $1.70/image, giving you an excellent profit margin. To order just the extra 12 transfers, the cost would be $4.50/image. Profit margin not as good. Now, let's say you prepared for those late orders because let's face it, your design WAS awesome. Had you ordered at the next price break up, 108 sheets, your total cost would have been about $30 more. However, you now have 36 extra transfers to sell to your customer at a cost to you of only $1.42/image. You'll be able to fulfill the subsequent orders on-demand, leaving your customer impressed and happy.